Don DeStefano is a harmonica player in the Bernadettes. Chris Depino is a musician from New Haven. Ryan Hartt is the leader of Ryan Hartt & The Blue Hartts. Are there countries where harmonica players are BIG stars? Why don't more women play it? How many different musical styles can you squeeze out of one of these things? Guests include a lot of the pros: Howard Levy, Don DeStefano and Chris DePino whose odd career arc has taken him from railroad conductor to chairman of the Connecticut Republican Party to professional harmonica player. Also, Wolfie gets an on-air harmonica lesson from these gods of the harp. Howard Levy is a multiple-Grammy Award Winner, composer, and master of the diatonic harmonica. Trina Hamlin is an independent touring musician who is known for her harmonica playing. 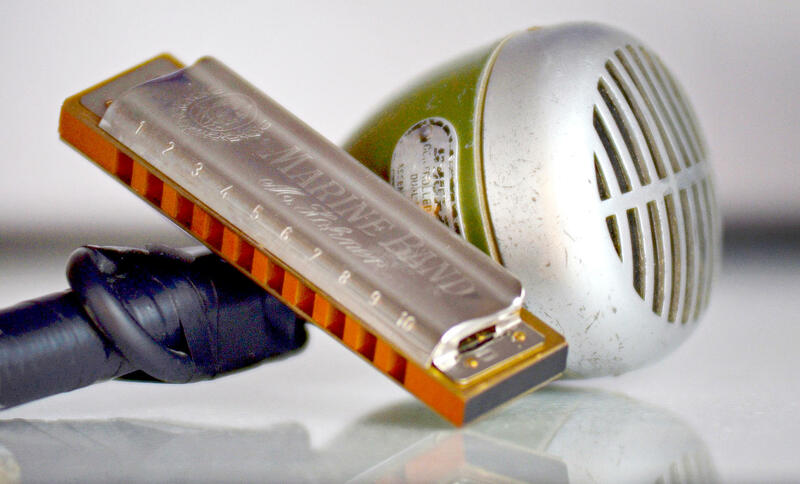 What harmonica players inspire you? Comment below, email Colin@wnpr.org, or tweet @wnprcolin. Little Ugly performed live on WNPR's Where We Live from our pop-up radio storefront. If you couldn't make it to our pop-up radio storefront, relive it here.